• Right-click the disk in File Explorer , and select Wipe free space with R-Wipe & Clean on the menu. 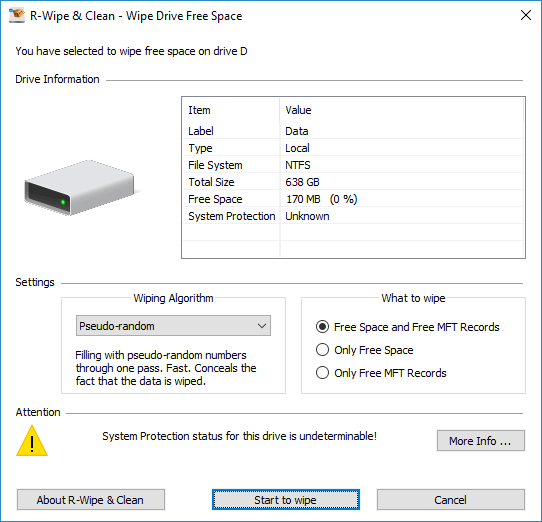 • Select the wiping settings for this disk and click the Wipe now button. 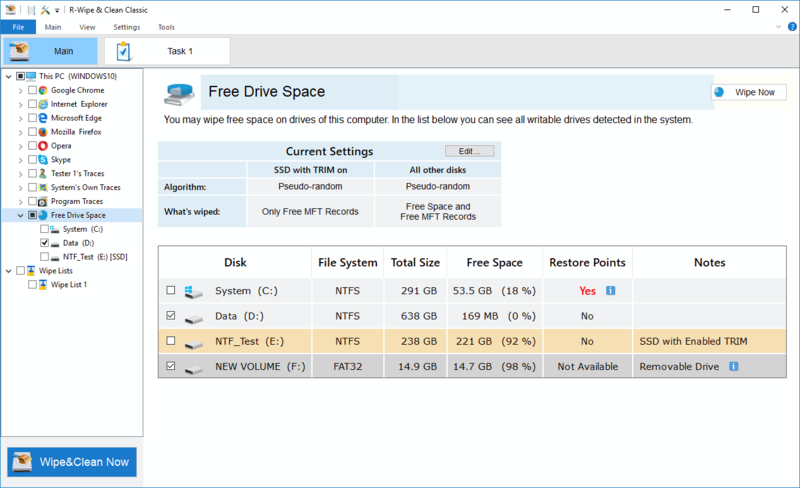 The Free Drive Space tab will appear in the right pane. • If necessary, change the wiping settings, and click the Wipe Now button. 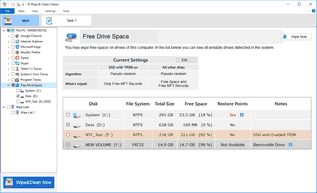 Default disk wiping settings may be set on the Free Drive Space Wiping Settings tab of the Settings panel. To learn more about wiping algorithms, go to the Wiping Algorithms page. You may interrupt wiping. Click the Stop button. Wiping will be stoped, and the Report dialog box will appear, showing how much of unused space has been wiped. You may also select the disks to wipe on the left tree and click the Wipe&Clean Now button. Disks selected for wiping in the tree may be included into a large wipe and clean task. Go to the Setting a Large Wipe and Clean Task section for details. Note! Removable storage devices appears in the right tab only. This is done to prevent including such devices into a large wipe and clean task.